RePlay: Finding Zoe/ReJouer: Où est Zoé? RePlay/ReJouer is our award-winning online video game to promote healthy relationships amongst youth aged 8 to 14 (funded by the Government of Ontario and developed in partnership with Take Action Games. The French version was developed in partnership with Centre ontarien de prévention des aggressions. Paz y Desarrollo, an organization founded in Spain, adapted RePlay/ReJouer to create the Hành trình yêu thương (The Love Journey) game for students in Vietnam. Funded by TELUS and Department of Justice Canada, “What It Is” is a Canada-wide online and mobile quiz game that raises awareness about sexual violence and supports youth 12 to 25 dealing with sexual violence. It was created with diverse youth and launched on November 25, 2010 in honour of the International Day for the Elimination of Violence Against Women. type www.metrac.org/games-and-apps/mGame/game.wml in your mobile browser and choose the English or French version. The game will download into your phone’s game folder. Open Google Play and install (search for “What It Is” under games). The game will display in English or French depending on your phone’s language setting. 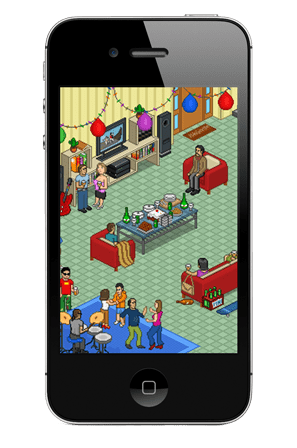 Note: this game works best on Android phones with smaller and medium-sized screens (240×320, 320×480 and 480×800 resolutions. It won’t look right on phones with large, high-density screens. If you’re not sure what screen your phone has, download the game and check out if it works (you can always “uninstall” if it doesn’t). You can also go to into settings > about phone, find your phone’s model number and search it online to figure out what kind of screen you have. Open the Blackberry store application and download in English or French (you may have to search for “What It Is” under games). Open iTunes and download the game in English or French (you may have to search for “What It Is” under games). Not Your Baby is a mobile app to help people deal with sexual harassment at work, school, transit, home or in public spaces. It’s a “sexual harassment response generator”. Once installed, the app allows users to input where they are and who’s harassing them – such as a boss, coworker, family member or fellow student. A possible response is generated “in the moment”, based on the input of people who’ve shared what they’ve done to deal with similar instances of harassment. Not Your Baby includes resources, information about the law, definitions, tips and stories, and it allows users to submit their own stories. Read research summary on responses to sexual harassment.